HeartBeet Farms hosts education for students at the farm - harvest vegetables and fruits, plant seeds and seedlings, taste a variety of vegetables and honey, & learn about the health benefits of our produce. Click here to learn more! HeartBeet Farms will bring our mobile farm stand and education truck to your facility! Learn about veggies and fruits grown at the farm, create a salad in a bag, or launch a planting project! Click here to learn more. Heart & Beet are our farm mascots! 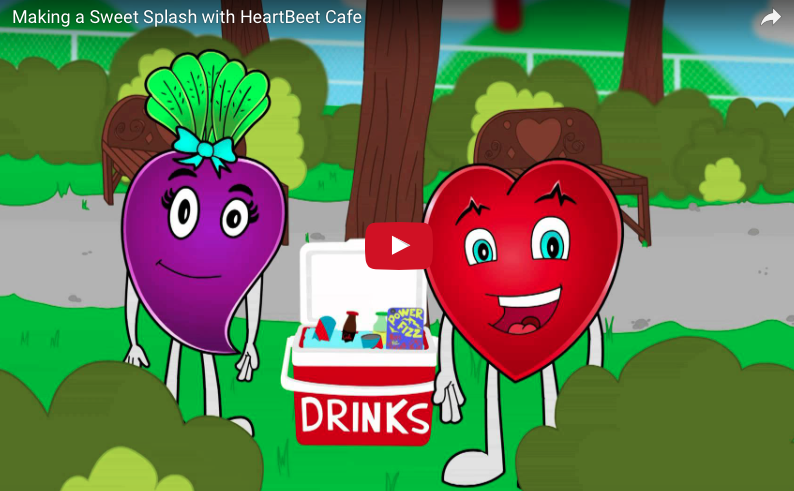 Heart & Beet help connect kids to where their food is coming from and teach them how to make healthier food and drink choices. Heart & Beet can visit your school and make special appearances at the Farm and farm stands! Follow us on facebook to find out where Heart & Beet may appear today! Click here to check out our cartoons and comics!